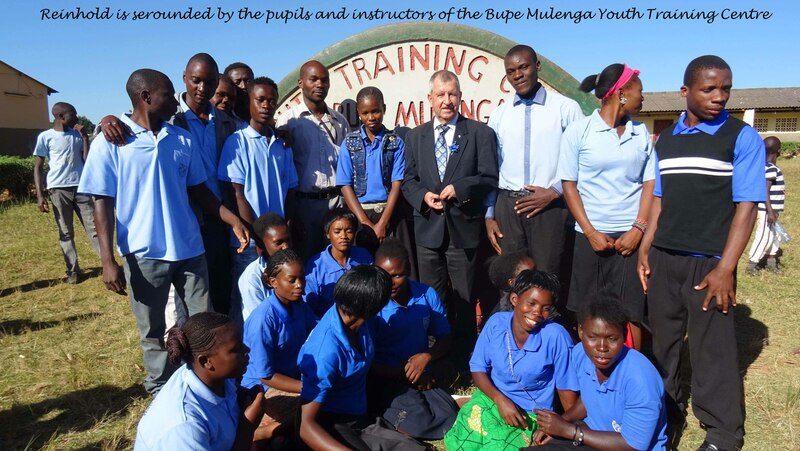 The proposed date for the Open Day at Mua, Malawi, is Saturday 13th August 2016. The Open Day (also known as Chamare Day) is an annual celebration of the work of Kungoni Centre, which features the Kungoni Dance Troupe, dances contributed by people around the Mua area and a lot of Gule Wamkulu. The culmination of the Open Day is a play, which this year will be inspired by the story of Kachirambe, who liberated his people by slaying the Pumpkin Monster. Proceedings should start with an inculturated Mass at 8.30 a.m. and conclude mid-afternoon. 2016 is the fortieth anniversary of Kungoni Centre, so the Open Day will be especially memorable. June 21, 2016. On 20th May MultiChoice Malawi brought journalists from across Malawi to Kungoni Centre to celebrate Africa Day. Also in the Nation on 24th May: Thoughts from a retreat. By Yvonnie Sundu, May 24, 2016. It is on a Friday, MultiChoice Malawi has organised yet another annual trip for journalists to celebrate Africa Day which falls on May 25 every year. This is the annual commemoration on May 25, 1963 of the founding of the Organisation of African Unity (OAU). On this day, leaders of 30 of the 32 independent African states a founding charter in Addis Ababa, Ethiopia. However, the trip has been organised much earlier on May 20 to give a chance to journalists to sensitise people about Africa Day. 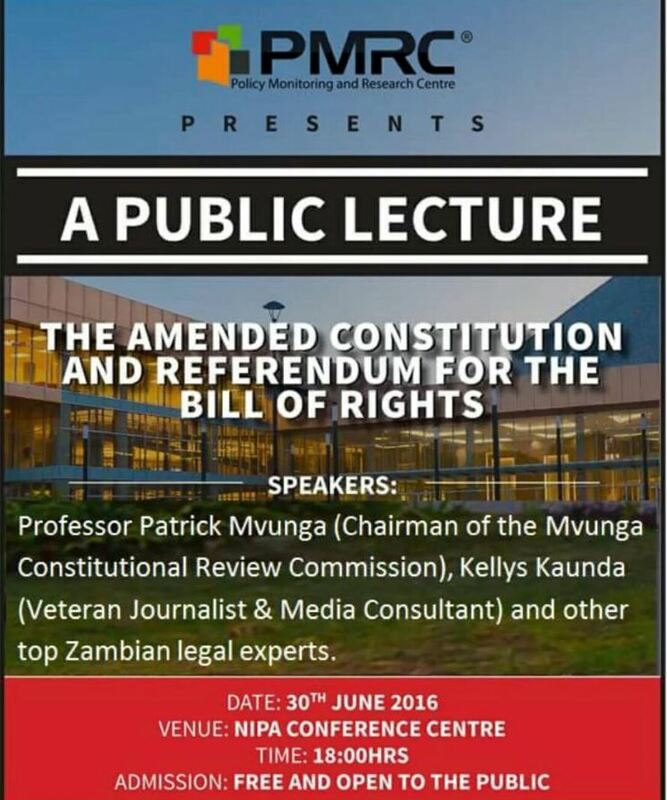 Just as MultiChoice has done every year, they have not told the journalists where they are taking them to having departed early in the morning in Blantyre. It turns out to be a long trip which takes us close to three hours and finally we arrive at Mua in Dedza. Such a quiet place and one would be compelled to think it a dull area. Welcome to Mua Mission which also houses Kungoni Arts Centre of Culture and Art. The road to the place is not tarmac. But wait a minute, we are journalists from Blantyre and so as we arrived, we met fellow journalists from Lilongwe, what an exciting outing this is going to be. We greet each other before being taken through the programme. What a trip, we are going to meet artist Claude Boucher Chisale, who founded Kungoni Centre in 1976. And while many of us prefer going for holidays outside the country, there is a lot we are missing out and I would recommend many of you to take time out and visit Mua. It is a place that offers visitors a unique insight upon the cultural and artistic inheritance of Malawi and preserves for Malawians a treasure house of what is distinctive in the cultures of the Chewa, Ngoni and Yao people, who converge in the Mua area. Back to A Chisale as he is fondly called, a lot has been said about him but for those of you who do not know his story, he was born in Canada in 1941. He followed in the steps of his maternal aunt to come to Malawi as a priest of the Missionaries of Africa (the White Fathers) in 1967. Apart from brief periods of study in Uganda and London, he has remained in Malawi ever since. “I love Malawi, this is my home. I am proud to be here,” said Chisale, when asked whether he does not have ambitions of going back to Canada. 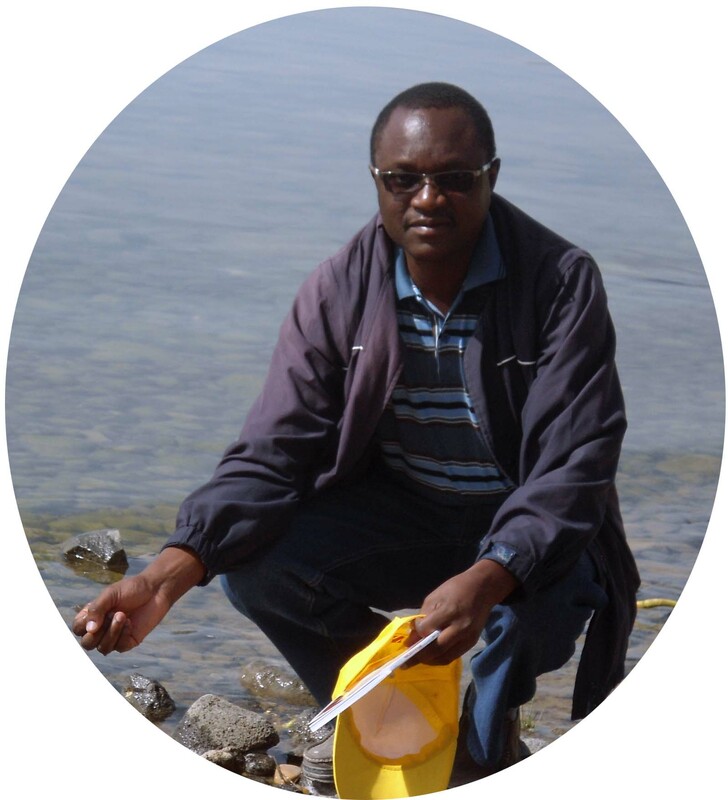 Chisale’s life work has been at Mua Mission, where he founded Kungoni. According to him, the centre started as a cooperative for wood carvers and that over the years, it has grown to encompass the Chamare Museum (which holds important ethnographic collections on the Chewa, Yao and Ngoni peoples of Malawi). 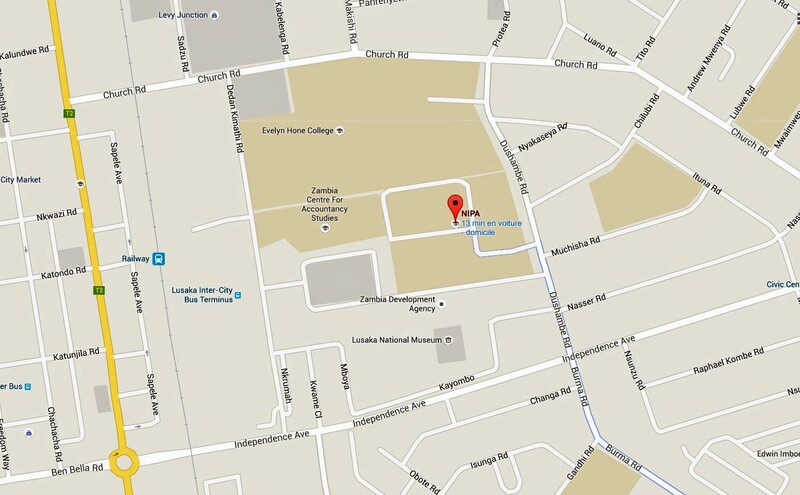 The centre also [comprises] the Kafufuku research library, Namalikhate lodge and Ku Mbewu (a women’s cooperative). He said Kungoni has decorated churches throughout Malawi and elsewhere, as far afield as Kenya and Germany; and that example of its work, both religious and secular, are to be found in collections which include the Vatican Museums. The priest, artist and anthropologist, took the name Chisale when he became one of the few non-Chewa to be initiated into Nyau, the secret society which is responsible for Gule Wamkulu. He has sought over the 40 years of his work at Mua Mission to create dialogue and understanding where before there was hostility and suspicion. 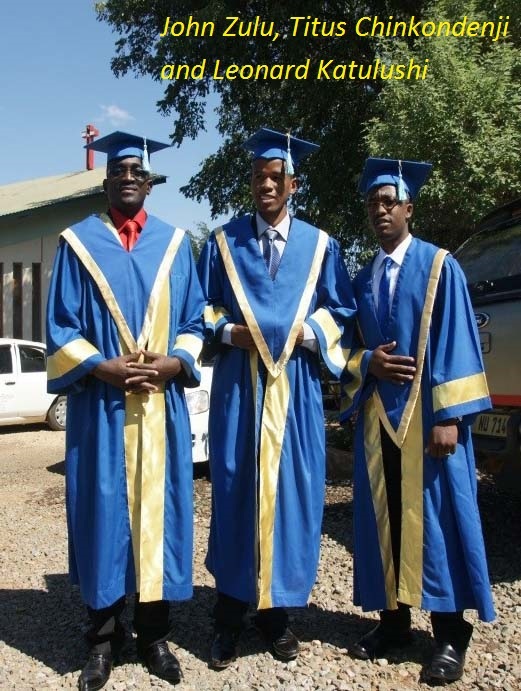 As a result, he has been granted unparalleled access to Chewa traditional access to Chewa traditional custom; and Chewa participants in Gule Wamkulu no longer feel themselves excluded from the life of the church. “Religion and culture go together and this is why when I came I made sure I associated with the people who were deep rooted into culture. First you must understand that as people we have culture and then with it there is also religion,” he said with a little smile. He has written several books and one of his extensive accounts of his life and work is his book When Animals Sing and Spirits Dance. This year Kungoni Arts is celebrating its 41st anniversary while Chisale is celebrating his 75th birthday. “This country was given to us by our parents and so let’s preserve it, let’s treasure our culture and extract from it important elements which will help develop our country,” he said. Chisale observes that many Malawians do not value their culture and that other wishes they were not born here. ‘We can do better, we have to thank God that we were born in Malawi and Africa. Africa is not poor and Malawi is not poor as others always put it. This is a rich nation with so much to treasure,” he said. In his book When Animals Sing and Spirits Dance, Chisale tells us more about his 40 years encounter with Gule Wamkulu, the Great dance of the Chewa people of Malawi. Gule Wamkulu is an extraordinarily rich tradition, which United Nations Educational, Scientific and Cultural Organisation (UNESCO) recognised as constituting part of the Oral and Intangible Heritage of Humanity in 2005. Chisale said he understands it as the vehicle by which the ancestors return to the village to offer social commentary and advice to the living. Gule Wamkulu has a vast plethora of characters, both masked and concealed with structures, which we appreciated in the museum. He said Gule Wamkulu is an indispensable part of initiation and funeral rites and of ceremonies to commemorate the dead and that nowadays it is performed during cultural events and political gatherings. 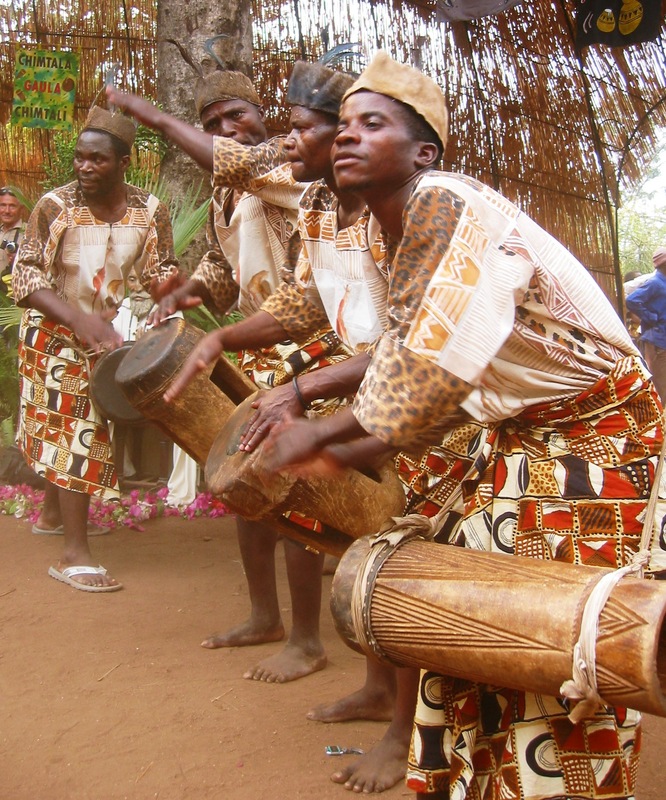 Through the Kungoni Dance Troupe, journalists appreciated traditional dances from the Ngoni and Chewa which were held at a place known as Matako Apekesana. Throughout all the traditional dances which included Ngoma from the Ngoni and Gule Wamkulu, Chisale explained in detail why these traditional dances were performed as well as the different regalia’s worn. “I am happy that MultiChoice thought of bringing journalists here as we look ahead to celebrating Africa Day. We have so much to share here and apart from that we also teach cultural courses and even art,” he said. This was surely a good encounter with A Chisale, a man who has always valued culture and so why can’t we do the same? On the 3rd and 4th June, the Islamist group Boko Haram stormed Bosso, a town in the eastern part of the Republic of Niger. At least 30 soldiers from the army were killed and several military equipment set ablaze. Armaments and food meant for the Nigerien soldiers were stolen. According to the United Nations, at least 50,000 people have been displaced. The government declared no civilian casualty. Bosso is found in the Diffa region where Boko Haram has already perpetrated attacks resulting in human lost. The tiny Christian community is visited by our confreres who live in Zinder situated at 468 km away. Bosso is also at 870 km from Birni N’Konni and almost 1,200 km from the capital Niamey where I am doing my apostolic experience (stage). Sadly enough, while the government denies the existence of civilian victimisation, we lost one of our brothers called Rémi Lawson, a converted Christian from Islam. Since his conversion, Rémi was known for his boldness in bearing witness to his faith. After dispersing the army, Boko Haram stormed the area where Rémi was. They shot him on the left shoulder. Then, Rémi knelt down and made the sign of the cross in the name of the Father and of the Son and of the Holy Spirit. Seeing it, an extremist militia man cried out “infidel” and killed him on the spot. Already on the 16th and 17th January 2015, our churches and convents were set ablaze by ordinary Muslims. Why is it that our places of worship were maliciously burnt down? Our faith is being threatened. The example of Rémi is a proof that the public profession of our faith is not genuinely accepted. Niger is a secular state, yet this is only true on paper. On the same day of his assassination, Rémi’s spouse gave peacefully birth to a child at the maternity ward. It was the wishes of Rémi to be so. But Rémi’s death is a drama to the family and a serious blow to our small Church in Niger. As my brother Lefterius Mwamba pointed out on the 2015 attacks, “we are persecuted but not forgotten”. A prayer vigil was organised so as to call the Lord’s strength upon us. We are still on a journey in making a Niger where all religious affiliations will be recognised. We call upon God’s name through his Son and our mother Mary so that we may all accept and move forward in mutual respect into our common humanity. “In the world you will have hardships, but be courageous: I have conquered the world” said Jesus (Jn, 16: 33). The zeal and hope to continue our mission in Niger can only be found in the peace promised by our Lord Jesus Christ who is also calling us to “go and make disciples of all nations (…..) And look, I am with you always; yes, to the end of time” (Mt 28:19a, 20b). We profess our faith through our commitment to building a peaceful Niger for all. 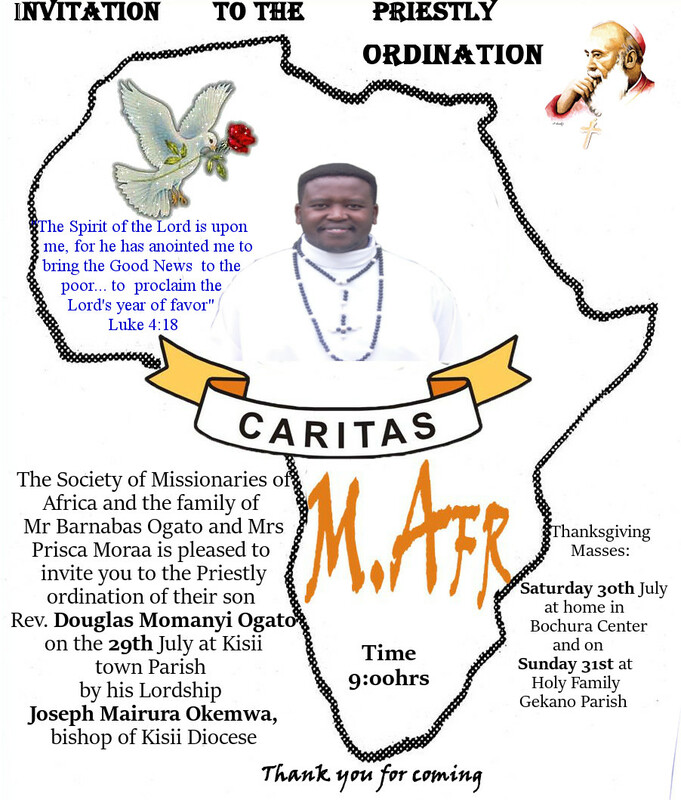 Dear confreres, families and friends of the Missionaries of Africa, let us keep Rémi’s family in our prayers. We continue praying for the mission in Niger so that the harder the mission may become the bolder and zealous we may be in proclaiming God’s Kingdom. This Newsletter comes to you earlier than usual, because in the next ten days I will be on a long trip with some friends in a part of Canada that I have never visited: we will be touring the Magdalen Islands, in the far eastern part of the country, between the provinces of Prince Edward Island, Nova Scotia and Newfoundland. Look on the map! As you can see, this Newsletter is also quite short. I am out of the South African context and also I am kept quite busy with my relatives and friends, without mentioning many M.Afr confreres whom I am meeting here after many years; we have so many stories to tell one another and a lot of news to catch up on. The most important piece of news this last month has been the election of our new General Council in Rome. Last month, I already told you about the new Superior General, Fr. Stanley Lubungo. This time, I simply send you an attachment introducing all five members of the new General Team. You surely will notice that they are men of great experience, having lived in different countries and worked in various fields. This is what we expect of Missionaries of Africa. Hopefully, reading about the background of each one will inspire you. I just want to add one remark about Pope Francis’ approach to people during this JUBILEE YEAR OF MERCY. I am so struck by his very down-to-earth way of interacting with people, just like Jesus who went about, meeting people where they were. Pope Francis visits people, especially the poor and unsophisticated. And he invites them to come celebrate the Year of Mercy at the Vatican, whoever they are, whatever work they do, the sick and healthy alike. Recently, he met with people working in circuses and encouraged them to continue bringing joy through their entertainment. He often focuses on joy (see his beautiful exhortation The Joy of the Gospel); a Christian is someone who lives in the joy of the Risen Lord. In the midst of our unsettled and struggling society, may we give more joy and hope to the people we meet! This is surely a very good way to be a missionary! His Holiness, Pope Francis has appointed today 18th June 2016, Rev. Fr. Valentine Kalumba, O.M.I, 49 as the Bishop of Livingstone. Fr. Kalumba, O.M.I was ordained priest for the Missionary Oblates of Mary Immaculate (OMI) on 22nd October 2005 at Mary Immaculate Parish in Lusaka. He holds a Bachelor’s Degree in Theology (Theological Institute, South Africa) and a Diploma in Accountancy (National Institute of Public Administration (NIPA). Fr. 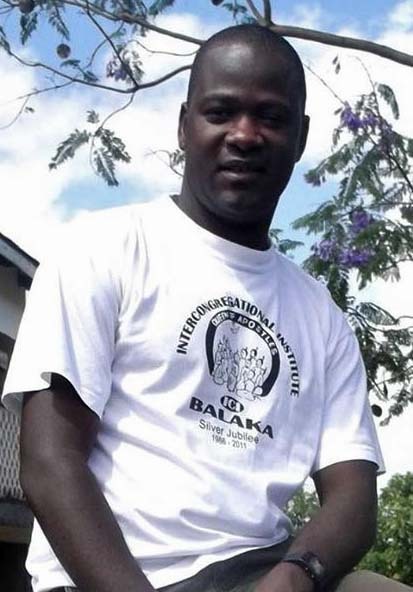 Kalumba, O.M.I has held many offices in his Religious Congregation as Formator (Pre-Novitiate, Lusaka), as Parish Priest (Limulunga, Kalabo), as Parochial Vicar (Kalabo, Shang’ombo in Livingstone) and as Director of Oblate Radio Liseli in Mongu. Currently, Fr. Kalumba, OMI is the Parish Priest of Blessed Mary Theresa in the Diocese of Kabwe and he is also the Vicar of the Delegation of the Missionary Oblates of Mary Immaculate (O.M.I) here in Zambia. Pope Francis has appointed Fr. Valentine Kalumba as the Bishop of Livingstone. Fr. Kalumba, O.M.I was ordained priest for the Missionary Oblates of Mary Immaculate on 22nd October 2005 at Mary Immaculate Parish in Lusaka. He holds a Bachelor’s Degree in Theology and a Diploma in Accountancy. Fr. 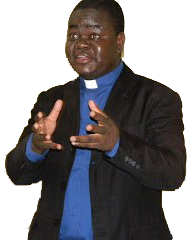 Kalumba has held many offices in the Oblates Religious Congregation as Formator (Pre-Noviatie, Lusaka), as Parish Priest (Limulunga, Kalabo), as Parochial Vicar (Kalabo, Shang’ombo in Livingstone) and as Director of Oblate Radio Liseli in Mongu. Currently, Fr. Kalumba is the Parish Priest of Blessed Mary Theresa in the Diocese of Kabwe and he is also the Vicar of the Delegation of the Missionary Oblates of Mary Immaculate (O.M.I) in Zambia. “And On behalf of the Zambia Episcopal Conference, the Secretary General and all the Catholic faithful I wish the Catholic Clergy, the Religious and the faithful of Livingstone Diocese the best of luck as they receive their new Shepherd Fr. 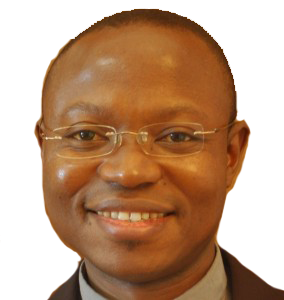 Valentine Kalumba,” says Catholic Media Services Executive Director- Fr. Winfield Kunda in a statement. Oasis Forum calls for an end to political violence in Zambia. Elections. The Forum says this is despite the commitments political parties pronounced at the Indaba on political violence held at the Cathedral of the Holy Cross on 29th March 2016. It said it is disheartening that the resolutions of that Indaba have been thrown to the wind and our political leaders are once more letting the country down. 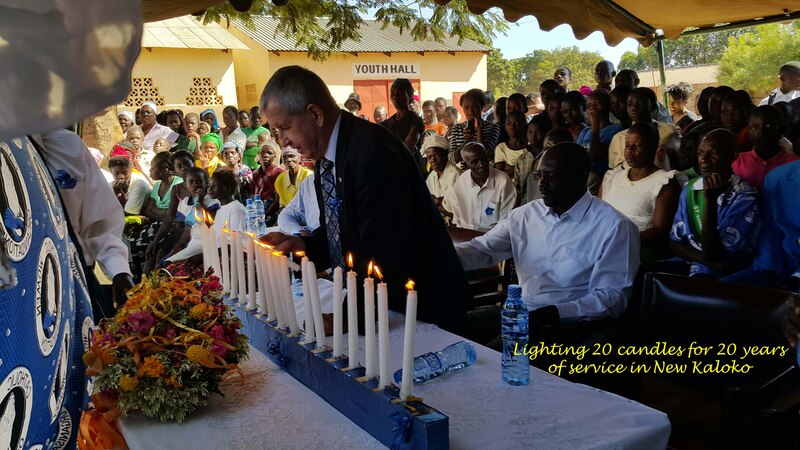 The Oasis Forum includes the Council of Churches in Zambia (CCZ), the Evangelical Fellowship of Zambia (EFZ), the Law Association of Zambia (LAZ), the Non-Governmental Coordinating Council (NGOCC) and the Zambia Episcopal Conference (ZEC). Forum Chairman Fr Cleophas Lungu said the wise counsel of the Church and other stakeholders in the governance of the country has not been heeded by the authorities responsible for maintaining law and order. Fr Lungu observed that political violence has been on the rise at a very alarming rate. “The Oasis Forum observes that the incidences of political violence are symptomatic of a serious breakdown of law and order in the country and are a threat not only to the holding of free, fair and credible elections, as expected in August 2016, but also to our very existence as a sovereign state which has enjoyed relative peace on the African Continent for over fifty years. Something drastic needs to be done sooner than later,” Fr Lungu said. He said the Oasis Forum also wishes to register its deep concern over the conduct of the Zambia Police Service who continue to fail to discharge their statutory functions and to act impartially in maintaining law and order. Fr Lungu has since appealed for calm and maximum restraint from especially the members of the Patriotic Front (PF) and the United Party for National Development (UPND). Hi dear friends of OUR MISSION! 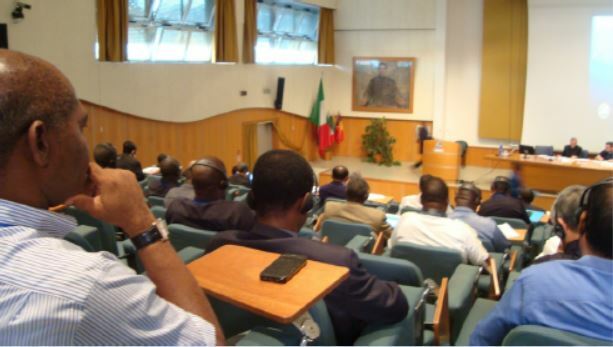 The annual General Assembly of all the National Directors of the Pontifical Mission Societies (Missio) took place in Rome from 30 May to 4 June 2016 and was well attended by the majority of the 116 National Directors, (representing many more countries as some of the directors represent more than one country) unfortunately some few directors were unable to attend because of visa issues. The Assembly grants a wonderful opportunity to share experiences, challenges and the realities of the specific countries in which we work. It is so special to meet those who represent Catholic life and mission in countries which normally receive less exposure like: East Timor, Taiwan, Indonesia, Iran, Cambodia, Laos, Myanmar, Kazakhstan, amongst others. It opens one’s mind to the amazing universality of the Church and its particular mission activity in places where Catholics and other Christian churches are often tiny minorities. We are thankful to the Lord that this year once again, through the generosity and sacrifices of the faithful throughout the world we were able to distribute in a just manner help for thousands of projects originating in over 1150 dioceses mostly in Asia and Africa. The challenge that we are facing over the past few years is the reality of a constant decrease in funds from donations and an ever increasing need by young Churches for help to properly train local priests, Religious and Lay leaders to evangelise the people as well as to provide much needed help in the precarious situations of the local people in these regions. Our biggest challenge is to promote the Universal Missionary activity of the Church in such a way that all the faithful feel involved, enthusiastic and committed and realise the urgency of the evangelisation process throughout the whole world and the need for their active participation and collaboration. All, without exception, are called to be involved in this missionary activity whether they are from so-called donor countries or from young churches. The Catholic Church in Africa and Asia are going to have to become ever more protagonists in the missionary activity of the Church as increasingly European and other so-called developed countries become more and more secularised and their people declare themselves as belonging to no faith. The Church in Africa urgently needs to become ever more self-supporting and self-reliant—we need local clergy and Religious. We also need to become truly missionary by sending Priests and Religious as missionaries and by supporting financially the new mission territories of the world. The time is ripe for the Catholic Church in Southern Africa to take up the challenge and live her Missionary responsibility! Fr. Gordon Rees mccj, National (Missio SACBC) PMS Director – South Africa, Botswana & Swaziland. Click here to open the PDF file of the magazine. 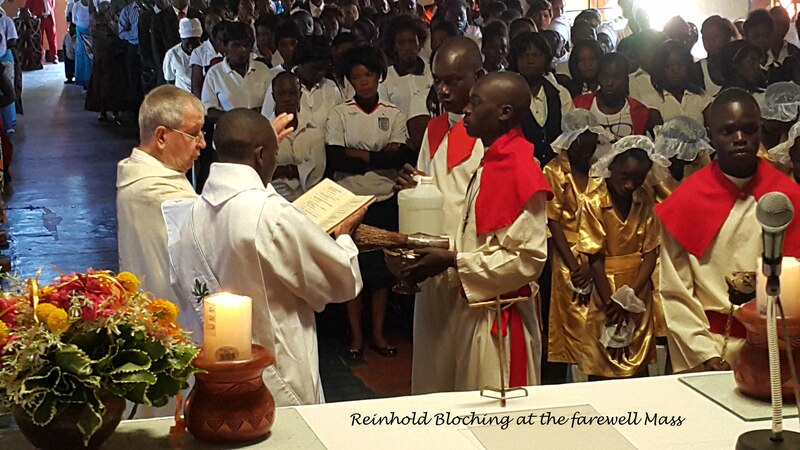 Farewell of Reinhold Bloching at New Kaloko parish. By Emmanuel Mambwe Chishala, M.Afr. We were twenty-three people to attend the course in Jerusalem which ended last week; nine sisters, one lay woman, one brother and twelve priests from Tanzania, Malawi, Uganda, Zambia, Ghana, Singapore, Ireland, Portugal, Philippines, Poland and India. I was graced with the following four most important wonderful experiences. Firstly, the fruitful break from the busy parish work. Secondly, the well time spent in visiting the holy places, especially the week we spent in Galilee. Thirdly, a relaxed Bible course both in the Old and New Testaments with special attention to Genesis, Job, the Gospels and the letters of St. Paul. Finally, the thirty days retreat which gives you time to evaluate your personal prayer and commitment to Gods’ calling. I had time to pray, reflect and renew my body, spirit and soul. I’m so thankful to God and my Society to have given me this opportunity to be in Israel. I do appreciate my confreres doing this service to many people. The community of St. Anne made it possible for us to seriously re-energise my calling and commitment to the Good News of our Lord Jesus. My highest point of my stay was the passion walk at night from St. Anne, the Gethsemane garden, the palace of Pilate, the Golgotha and finally the tomb of Jesus. Yes! It happened and now I’m so encouraged believing and wish to share more of my wonderful experience with others. May God bless Africa and our missionary Society.